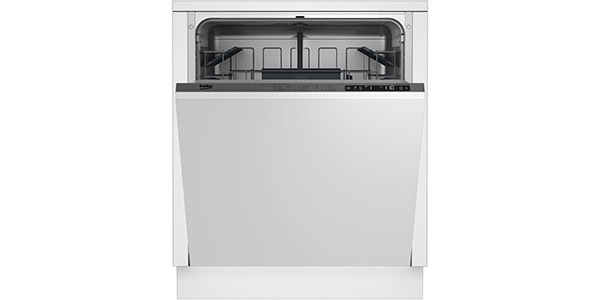 With first-rate cleaning performance and a reliable build, the Bosch Series 4 SMV46MX00G is an integrated dishwasher that could work well for almost any home. It has a range of advanced technologies that not only improve the cleaning results, but it also helps this machine to be very user-friendly. Add in extras like a hygiene feature and the versatile interior, and it makes for a machine that is an exceptional value – even when you consider the high price. The Bosch Series 4 SMV46MX00G is a little expensive, but it is a top performer, and it is a machine that is built to offer a long operating life. 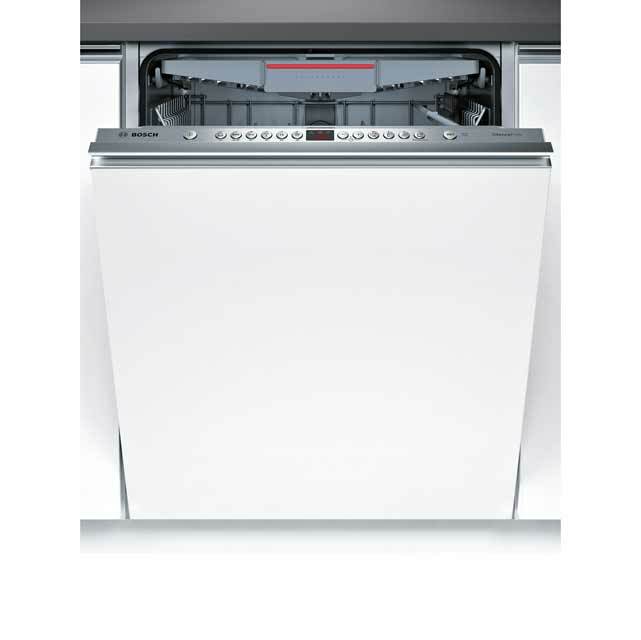 This model has a nice selection of features, it comes with sensor washing, and it has good efficiency when compared to many of the competing integrated dishwashers. 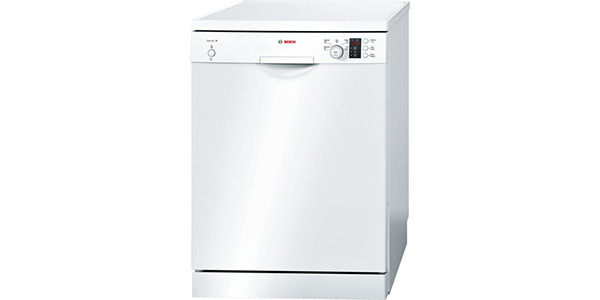 Using an estimated 262 kilowatt hours of electricity per year, it gets an A++ rating, and it can use as little as 9.5L of water per load.Bosch is known for making dishwashers that have flexible interior racking, and this one does pretty good in that regard. It can hold up to 14 place settings per load, and with features like a height-adjustable top rack and a third level cutlery tray, it really makes the most of the space that is available. Along with that, it also has folding racks in both baskets and specialised holders for things like cups. The program selection on this machine offers the user a good range of cleaning options. 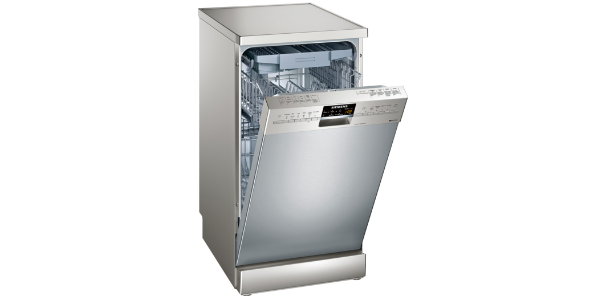 You have six programs to choose from, and it has a sensor wash program that should be able to handle most of your dishwashing needs. 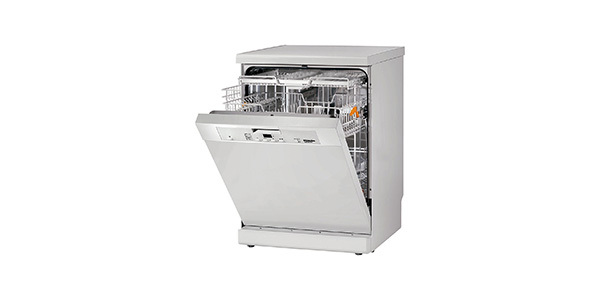 Beyond that, it also has a quick wash for when you need dishes in a hurry, an intensive wash, an eco-program, a cycle for glass and it has a 1-hour wash. While it may not have a half-load feature, it does have load size detection, so the machine will manage the water based on the size of the load. 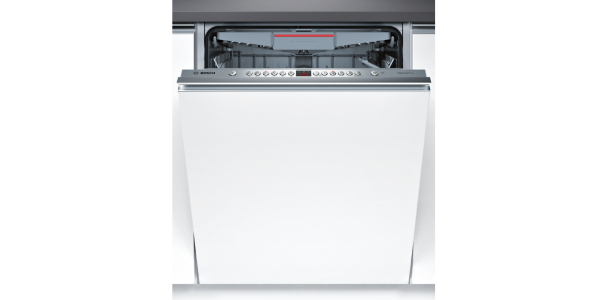 The selection of programs that you get with the Bosch SMV46MX00G should be enough to handle almost all of your regular washing, but it also comes with a few extras that help to make this dishwasher even better. 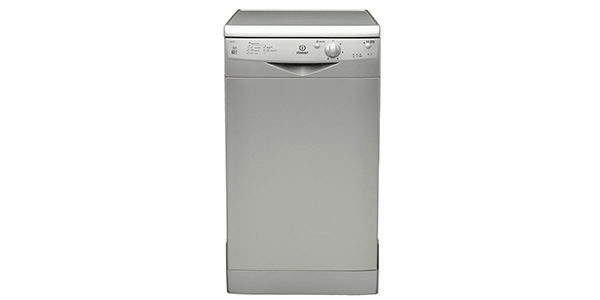 You can add the hygiene plus feature to some of the cycles, and this adds a sanitizing rinse to the load. 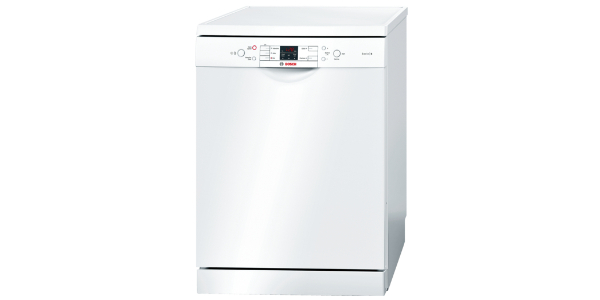 This dishwasher also comes with Bosch’s VarioSpeed feature for reducing the program times, it has an extra dry feature, and it has a machine care cycle for cleaning the dishwasher. 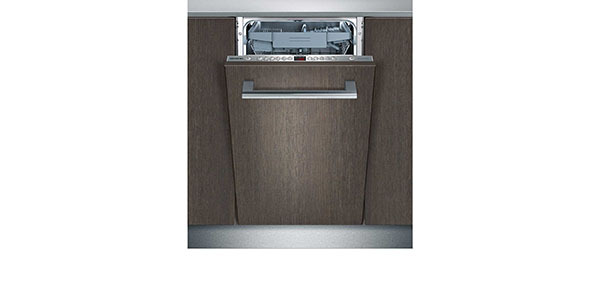 The controls on this integrated dishwasher are about as simple as could be. You have push button controls on the top panel of the door, and there is an individual button for each program and feature. You just select the program, add any features you want, and then push the start button. Along with that, it also has the InfoLight, so you can just look for the red dot on the floor, and know that the machine is still running.